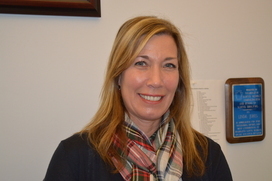 Biography: Dr. Tracy McNelly is an Assistant Professor in the Education Department at Saint Vincent College where she teaches courses in both the undergraduate and graduate programs and advises Kappa Delta Pi, the Education Honor Society. Prior to entering her career in higher education, Dr. Tracy McNelly taught secondary English and journalism for several years and served as a reading specialist in a high school setting. Following her teaching career, she began a career in school administration where she held the position of junior and senior high assistant principal, Director of Pupil Personnel Services, Director of Secondary Education and Assistant Superintendent of Secondary Education, all in public school systems. Her areas of research include literacy, professional development and school leadership. Dr. McNelly has numerous scholarly publications related to her research interests and she has presented at both the national, state and local levels. She received her D.Ed. in Curriculum and Instruction from Indiana University of Pennsylvania in Indiana, PA.
McNelly, T. A. (2018). Student teachers' views on using digital storytelling. Academic Education Quarterly, 22(3), 17-23. McNelly, T. A. (2018). Selecting ‘just right’ electronic books for the early childhood classroom. Kappa Delta Pi Record, 54(1), 23-29. McNelly, T. A. (2016). Using a student self-assessment template to gauge student learning, College Teaching Journal. Conrad Barnyak, N., & McNelly, T. (2016). The literacy skills and motivation to read of children enrolled in Title I: A comparison of electronic and print nonfiction books. Early Childhood Education Journal. 45(5), 527-536. McNelly, T. A., & DeMore, C. (Spring, 2015). Using a professional learning community framework for sustained professional development. Pennsylvania Education Leadership, 34(2). Conrad Barnyak, N., & McNelly, T. A. (2015). Supporting young children’s visual literacy through the use of e-books. In Heider, L. L & Jalongo, M. R. (Eds. ), Young children and families in the information age: Applications of technology in early childhood (pp. 15-41). Dordrecht, Netherlands: Springer Science + Business Media. McNelly, T. (2014). Creating a culture of STEM-mindedness in the Norwin School District. Math and Science Collaborative Journal, 20, 40-41. Conrad Barnyak, N. & McNelly, T. A. (2009). An urban school district’s parent involvement: A study of teachers’ and administrators’ beliefs and practices. The School Community Journal, 19(1), 33-58. McNelly, T. (2005). Every teacher is a teacher of reading: Training content area teachers to teach reading. The Pennsylvania Administrator, 8(1), 19-21. McNelly, T. (2002). Teacher Evaluation: Using Teacher Portfolios to Document Professional Growth and Evaluate Performance. Principal Leadership, 3(4), 55-59. McNelly, T. A. Bringing Text to Life with Digital Storytelling. American Middle Level Educators Annual Conference, Orlando, FL (October 2018). McNelly, T. A. & Nowikowski, S. 2018. Painting a Portrait of Professionalism: Revolutionizing Teacher Portfolios through Danielson & Digital Storytelling. Small Group Session. To be presented at PAC-TE, Harrisburg, PA (November 2018). McNelly, T. A. 2018. Bring Text to Life with Digital Storytelling. Presented at the Association for Middle Level Education Annual Conference, Orlando, FL (October 2018). McNelly, T. (2017). STEAM Forward Learning: Connecting Pre-service and In-service Educators in Learning About Science, Technology, Engineering, the Arts, and Mathematics. Small Group Session. Presented at PAC-TE, Harrisburg, Pa, October 25-27, 2017. Ent, V., McNelly, T., Franicola, J. (2017). Orbiting Third Spaces: Using Disparate School Settings to Create Unique Learning Opportunities for In-Service, Pre-Service, and Teacher Educators. Small Group Session. Presented at PAC-TE, Harrisburg, Pa, October 25-27, 2017. McNelly, T. (2016). Blogging as Reflective Dialogue: Communication Between Pre-service and Practicing English Teachers. Poster Session Presented at PAC-TE, Harrisburg, Pa, October 26-28, 2016. Conrad-Barnyak, N., & McNelly, T. (2015). Scaffolding Instruction for Struggling Writers in the Early Childhood Classroom. Small Group Session. Presented at PAC-TE, Harrisburg, Pa, October 28-30, 2015. Conrad-Barnyak, N., & McNelly, T. (2015). Selecting and Using E-books to Support Young Children's Literacy Acquisition, Pennsylvania Association for Supervision and Curriculum Development Conference, Hershey, Pa, November 23-25, 2014. Conrad-Barnyak, N., & McNelly, T. (2015). Integrating E-books in the Early Childhood Classroom: Advancing Young Children’s Vocabulary and Comprehension Development. Small Group Session Presented at the PAC-TE, Harrisburg, Pa, October 22-24, 2014. Using E-Books or Trade Books with Children at Risk: A Comparison of Literacy Skills. Poster presented at the American Education Research Association (AERA) Annual Meeting, Philadelphia, April 4, 2014. Reaching the Common Core: Engaging Students in Authentic Writing in the Social Studies Classroom, Pennsylvania Association for Supervision and Curriculum Development Conference, Hershey, Pa, November 3-5, 2013. Incorporating Read-Alouds in the Early Childhood Classroom: Fostering Young Children’s Vocabulary Acquisition and Comprehension. Small Group Session Presented at the PAC-TE, Harrisburg, Pa, October 23-25, 2013. Supporting Young Children’s Comprehension and Vocabulary Development through the Use of eBooks, Bloomsburg University Literacy and Learning Conference, May 23-24, 2013. Room in Early Childhood and Middle-Level Classrooms, Small Group Session Presented at the PAC-TE, Harrisburg, Pa, October 24-26, 2012. Providing Strategic Feedback during Writing Workshops: Nurturing Students’ Writing Through Student/Teacher Conferencing. Presented at the PAC-TE, Harrisburg, Pa, October 26-28, 2011. Utilizing E-books in the Early Childhood Classroom. Presented at the 2011 International Reading Association 55th Annual Conference, Orlando, FL, May 8-11, 2011. Using Our New Teacher Induction Program to Lay the Foundation for Professional Learning Communities. Pennsylvania Association for Supervision and Curriculum Development Conference, Hershey, Pa, November 21-23, 2010. An Urban School District’s Parental Involvement: a Study of Teachers’ and Administrators’ Beliefs and Practices. Paper presented at the American Education Research Association (AERA) Annual Meeting, Chicago, IL, April 9-13, 2007. Special Education and General Education Teachers’ Perceptions and Attitudes of Inclusion for Students with Disabilities. Paper presented at the American Education Research Association (AERA) Annual Meeting, San Francisco, CA, April 8, 2006. A Study of Self-Efficacy, Instructional Practices, and Uses of Technology. Paper presented at the American Educational Research Association (AERA) Annual Meeting, Montreal, Canada, April 11-15, 2005. Project Lead the Way, Chevron Grant (2015). Received $45,000 for Project Lead the Way Engineering Program implementation in the Norwin High School. Grable Foundation Grant (2013). Received $59,000 for Robotics on the Hill to finish the robotics continuum and bring robotics and STEM concepts into grades 5 and 6. Grable Foundation (2012). Received $16,000 for The Robotic Knights to bring robotics and STEM concepts into the grade 3 curriculum at all four Norwin elementary schools.